Hayes Pump distributes Viking Pump’s broad line of products from Industrial Pumps, to parts and accessories, including strainers, reducers , units, and maintenance kits. Both Viking Pump and Hayes Pump’s engineering expertise in rotary positive displacement pump solutions is unparalleled in the industry. Hayes Pump is a factory-trained, stocking distributor for Viking Pump and provides local support and inventory on PD pumps. Each Viking Pump is uniquely designed for the task at hand, from simple solutions to the most advanced and demanding needs. Viking Pump’s distinctive manufacturing agility offers a PD pump solution for every industry – moving materials that transform our world. From thin to thick, hot to cold, liquid to solid. With over 100 years of expertise, Viking Pump, a subsidiary of IDEX, is a leader in rotary positive displacement pump solutions. Hayes Pump offers Viking Pump in Maine, Massachusetts, Vermont, New Hampshire, Rhode Island, Connecticut, New Jersey and Greater New York City Metro as well as Eastern New York State. Chemical Process, Bulk Liquid Transfer, Metering, Food Processing, Brewing and Beverage, Bio-Diesel, Personal Care Products, Pharmaceuticals, Polymers, Pulp and Paper, Refinery, Soaps and Detergents, Water Treatment. Fully equipped, factory authorized service and repair facilities in New Jersey, New England and Maine. 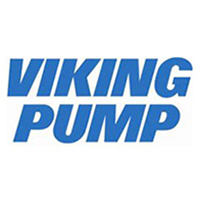 Through our partnership with Viking Pump, we have provided access below to all the Viking Pump product specifications, manuals and videos for your use. If you would like assistance selecting your Viking Pump products, please contact us using the form on the right. +Need to pump Chocolate, Confectionaries or Corn Syrup?